Integration is an important element of manufacturing. Time ago, the meaning of integration was to build a manufacturing factory which created virtually everything needed for manufacturing at the same place. Rouge River Plant by Ford Motors was one of them. Finished in 1928 it became the largest integrated factory in the world. Henry Ford’s dream was to organize a factory combining precision manufacturing with standardized and interchangeable parts and a clear division of labor. Here is quote from Robinson Library article. The largest industrial complex in the world at the time, the complex would eventually include a steel mill, glass factory, and automobile assembly line. Virtually everything required to build and assemble a Model T was manufactured on the premises. The final assembly line was transferred from Highland Park in 1927. In 1930, the Rogue River Plant covered 6,952,484 square feet and employed 81,000 men. Fast forward almost 100 years. Manufacturing is different. Integrated plants are history now. Global manufacturing and supply chain is a reality of today’s world. In my presentation at COFES 2015 earlier this year, I’ve been discussing data networks as a new way to support a complexity of manufacturing environment. The picture below shows suppliers of new BMW 3 series. Each product is a system.The growing complexity of manufacturing environment and products creates the demand for new product lifecycle architectures. These architectures will be able to support management of multidisciplinary product data (mechanical, electronic, software) and will operate as a global distributed data network. I’ve been thinking about a role of networks in the future of manufacturing and product lifecycle. 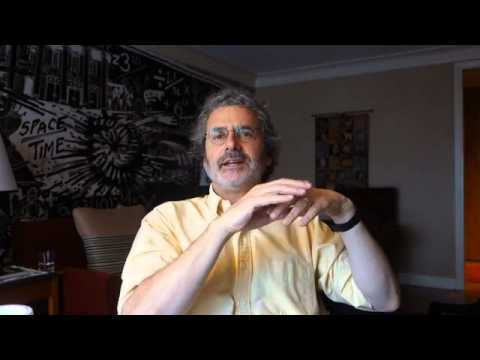 I’ve been reading Edge article – Digital Reality A Conversation with Neil Gershenfeld [1.23.15]. It is a bit long, but I would recommend it to anybody working on engineering and manufacturing technologies these days. Neil Gershenfeld, Director of MIT Center of Bits and Atoms gives you a perspective of future rethinking of manufacturing. To rewind now, you can send something to Shenzhen and mass manufacture it. There’s a more interesting thing you can do, which is you go to market by shipping data and you produce it on demand locally, and so you produce it all around the world. There’s a parallel with HP and inkjet printing. HP’s inkjet division is in Corvallis, Oregon because they had to hide from Palo Alto because they were told that inkjet printing would never scale, it would never be fast enough. But their point was a lot of printers producing beautiful pages slowly scales if all the pages are different. In the same sense it scales to fabricate globally by doing it locally, not by shipping the products but shipping the data. If you take this alignment between mainframes, minicomputers, hobbyist computers, PCs, the research tools we’re using are like the mainframes, the fab labs are the minicomputers. They’re being used to do the equivalent of invent the Internet. The next step is we’re doing a lot of work on machines that make machines. You don’t go to a fab lab to get access to the machine; you go to the fab lab to make the machine. To do that we’ve had to rip up CAD-CAM, machine control, motion control, all the ways you make stuff, to make machines that make machines. That’s the next step. Over the next maybe five years we’ll be transitioning from buying machines to using machines to make machines. Self-reproducing machines. But they still have consumables like the motors, and they still cut or squirt. Then the interesting transition comes when we go from cutting or printing to assembling and disassembling, to moving to discretely assembled materials. And that’s when you do tabletop chip fab or make airplanes. At the very least there are nuances which might stem from performing some kind of ‘Material flow’ analysis- comparing the centralized design/production model to the (idealised) centralised design/distributed fabrication(/assembly) one. My thoughts are in flux – but revolve around considering the transport of raw (often bulk) materials. Not mentioned – but energy delivery is another analysis to lay over the top. cheap transport costs. Locally tailored design can be centralised (or maybe at the local HUB (by local I mean country or state)). My point is that eventually a balance similar to the (efficient) logistics model may emerge – rather than the ‘true’ local one – one that is often driven by some people’s desire to ‘want’ the local over the central in a quasi political statement [not you Oleg] – to supposedly save energy and resources and maybe tilt back to idealised ‘craft’ production and allow them to take a break from the ‘modern world’ . Of course all the above needs better modelling – sounds like an idea for a student project. Paul, thanks for your comment! I think you touched an important point – materials and distribution. This is clearly something to think about. I can only imagine that the same network, which is taking care about optimal local manufacturing can count the optimal material distribution. Something similar to the model with airline hubs and transportation services. Thanks Oleg Hub and Spoke is what I meant by airline, logistics- that’s why to me it goes way beyond IoT and PLM convergence – and well into E(M)RP. Infact it goes beyond ERP into SRP (‘State’ resource planning??) – well at least beyond the individual enterprise. What ever happens I think this is beyond the existing boundaries of what we refer to as PLM, ERP etc Logistical planning – and will need more than a few get ‘rich quick’ startups to get going. Paul, you are right, it goes beyond traditional PLM which is in the best case point-to-point delivery from design to manufacturing. I’m sure we are going to see multiple attempts to start from different places – PLM, Logistic, Supply Chain, materials, manufacturing services and more. I wonder what do you mean by “new digital infrastructure”. I thought we have one – internet. Do you see another infrastructure for manufacturing? are actually behind the curve – but with a largely captive market. Vendor tie in and (wilfully?) poor levels of interoperability – should have been sorted out (via the market of via regulation) years ago – but there’s been no clear winners and unlike the Victorians who say imposed (an imperfect) standard(ish) rail gauge which helped to expand and unify the industry– govts are too afraid to intervene even in cases where it may make some sense. So I’m saying let’s take the at as a start analysis (via say rfid) of material flows – and then as a next step the effective routing of material flows as a county or societial level (tied in with digital design flows as you original article was discussing) – as the start of a New Digital Manufacturing Infrastructure- back bone – which businesses can use (as a kind of broker initially I guess?) – and society can deliver ‘stuff’ in a more optimal way. shake things up. Aligning the Digital and the Real world Infrastructure architectures appeals too – although that is just instinct. Paul, thanks for sharing your insight! This is great conversation! I agree with your view about building future manufacturing infrastructure on top of existing www standards- totally make sense. So, who will build an infrastructure and why others (especially existing PLM vendors) will join? And what is the meaning of such ‘join’? One of the www advantages is that no central system is required to keep it up and running. Do you assume some sort of “central” digital manufacturing infrastructure? Another thing that is not clear to me is your statement about NoSQL. I guess, it is better that what we had before, but why this layer will be better than RDBMS, RDF, STEP, etc.? For example Eurostep is providing solution on top of STEP. I’m not saying this is a platform for future manufacturing, but how NoSQL solution will be different from existing ones? PS. It looks like we put enough comments to grab beer or coffee :). Are you visiting DS office in Waltham, MA? I live just few miles down in Newton. difficult to answer. “Who will build the infrastructure”. There are several ‘potentials’. wants to Add value – through its own technologies and geometric (and non geometric) representations. I also recall that RDF and associated technologies (esp SPARQL) did not have write support (to DB). Neo4J for example does (via CYPHER) in a similar way to SQL. or an update ‘Graph’ – they are all implicit or implemented in different forms where the ‘back bone’ is really a Graph – with operations/ data at each node. possibly involving ‘Graph Thinking’ the CAE industry could learn a lot in forming the Infrastructure back bone. add’ to ‘Join’ the other (two) infrastructures Android and iOS – and also make money on hosting via Azure. Perhaps this is the part the traditional vendors can play a part – by hosting the data and serving other (smaller) players ‘value add’ apps on a common (ish) platform. might happen – in that they built up their AWS platform for internal use (not their core business) but made sure that it could act as a service for others. Ironically Microsoft could be the ones who developed or coordinated the build up of a new ‘Manufacturing infrastructure’- again going back the the AD man – materials/ logistics discussion which started this – especially as the CAE levels of sophistication in terms of algorithms are relatively or often ‘low level’. I am in Cambridge UK – so a coffee will have to wait for a while. thanks for reading.